We’re back at the University of Manchester for two graduation specials! The first is on Tuesday 12th July 2016, 11.30am to 2.30pm, on Bridgeford Street M15 6FH. You can find us just off Oxford Road, next to the Manchester Museum. After a short break following the end of the summer term, WE ARE BACK with two Tuesdays packed full of delicious lunchie treats. We’re inviting graduates and their families, as well as staff, students and foodie fans everywhere, to come along for a celebration of food – and academic achievement too, of course. 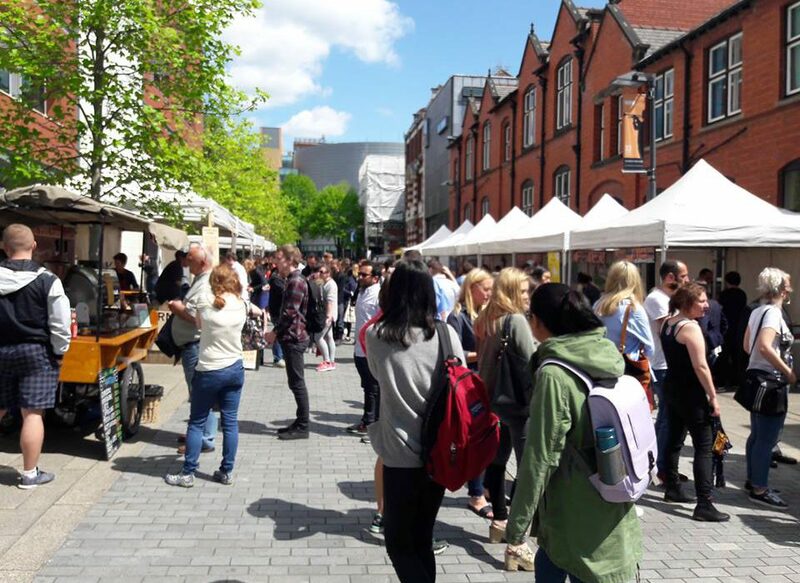 We’ve got an amazing line-up of street food traders, plus fresh produce, coffee, sweet treats and confections to make your mouth water. Read the full list here, and whet your appetite with the visual feast we’ve prepared for you below. Remember – this is the first of just two markets before we break up for summer. We won’t be back at the University of Manchester until September, so make the most of us while you can!